POLK COUNTY (WDAZ-TV) — As temperatures drop and heating bills climb, there’s help for people struggling to make ends meet. But people aren’t using it. “The winter always increases my heating bill,” said Jon Slater, a Grand Forks resident. Cold weather means more out of pocket for many people. But help isn’t something everyone knows about, or many people think they qualify for. 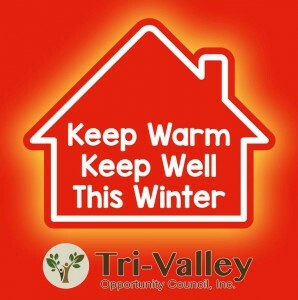 At Tri-Valley Opportunity Council you can get help paying your heat bill. But only about half the people eligible for that service are signed up. “They don’t sign up, they have a pride issue where they don’t feel that they need to, or they don’t even know about the program,” said Chris Waechter the energy assistance program coordinator. Waechter says they still have money available for you to get help heating your home this winter. The Low Income Home Energy Assistance Program will cover as much as 80 percent of your bill. Waechter says many of them struggle to choose between food or utilities. A family of four qualifies in Minnesota if their annual income is less than $43,000. Help to keep you out of the cold and pay your bills. Click here for more information on how to apply if you live in the western halves of Polk County and Marshall County or Norman County.